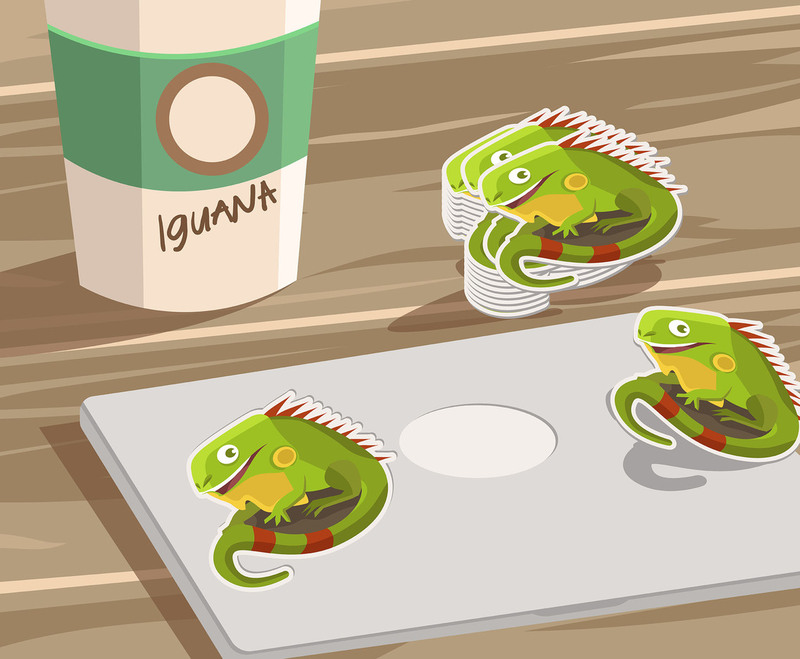 This illustration depicts a cup with "iguana" written on it and a pile of stickers of green iguana drawings. I hope you can benefit from this. Enjoy!